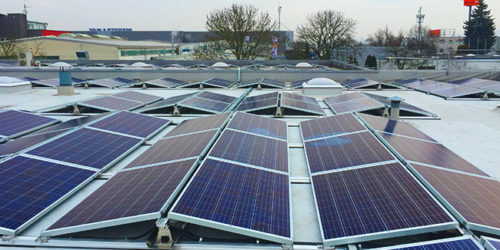 The photovoltaic plant generates around 97 kWp and an average annual yield of around 90,000 kWh. 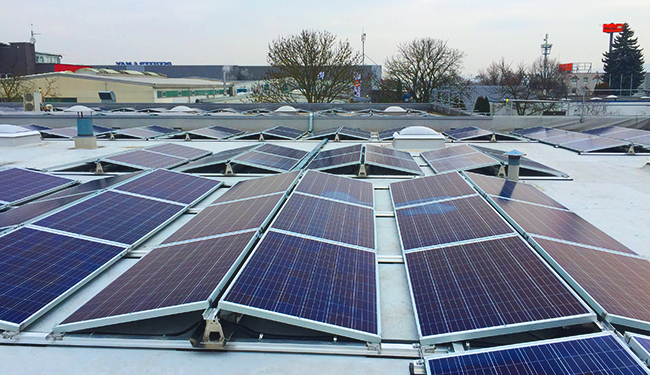 366 modules have been installed to feed 3 inverters. The lion’s share of the generated electricity is for own needs – approx. 85 % of the yield will be consumed by BCE. With the about 25 to 30 % share of the PV system in the entire electrical energy supply, BCE succeeds in CO2 neutral sintering process, even more some further production steps are also „green“ now. This is a significant contribution to the „CO2 Footprint“ of BCE high-performance ceramics. The BCE as a small and medium-sized company has been associated with the Mannheim location for 30 years now. With this investment at the premise BCE strengthens its local engagement even with respect to the environment.